Buying a vehicle that is 2-5 years old is an excellent value for the money spent. It is also likely that you will be able to obtain a car that is better equipped than you could afford if it were a new model of the same auto. The only problem is narrowing your focus to a single option from the thousands of affordable cars in St. Peters. Not only is a pre-owned car less expensive than a new one but the incidentals are also not as high. Taxes, tags, vehicle insurance and fees cost less. Used autos that are still comparatively new have already undergone the greatest depreciation. Car manufacturers have learned a lot over the years about how to improve auto appearance and performance since they were first invented. This is quite evident in increased vehicle stability and dependability. Most of the trucks, cars, SUVs and mini-vans in today’s market easily reach or exceed 100k miles on the odometer. It is not that uncommon to get even 200k-300k miles when routine maintenance schedules are followed. Pre-owned Acura cars for sale are always a good choice. 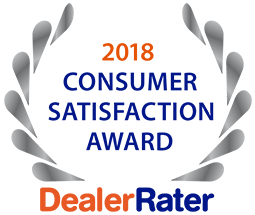 The sales teams at dealers who sell new vehicles always emphasize that interest rates are lower but there is not a huge difference in the rates between new and used. There are financing options for all credit situations, whether favorable or not. There are even loans for those with no credit or individuals with a poor credit history. Visit 5 Star Auto Plaza to browse our wide-ranging inventory of newer model affordable cars in St. Peters. Call (636) 940-7600 to talk about financing options that we offer for any situation. Our sales professionals are ready to work with you.